Often, the duo's interplay could resemble the elegant guitar-piano duets of Jim Hall and Bill Evans, or the impressionistic piano face-off concerts between Corea and Herbie Hancock. 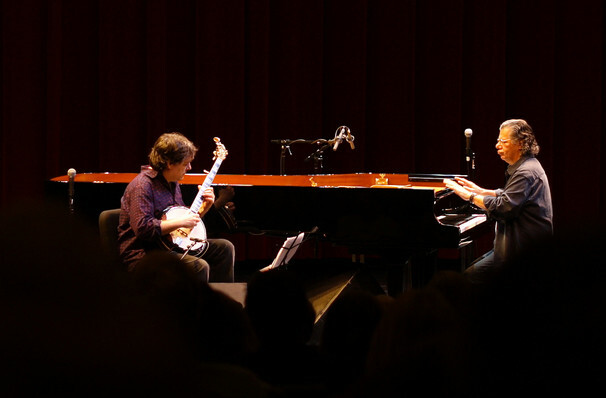 Why See Chick Corea & Bela Fleck? 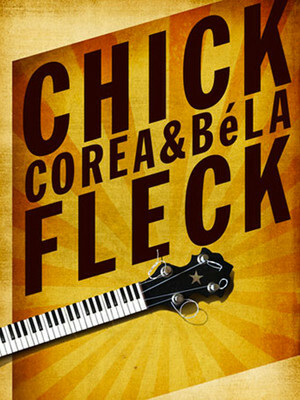 Catch virtuosos Corea & Fleck Live! A member of Miles Davis' sixties band, Corea was a key figure at the dawn of the electric jazz fusion movement and is considered to be one of the most influential jazz pianists around. Bela Fleck is an innovative American Banjo player who is known for his undeniable technical talent. Together they may seem to be an unlikely duo, but their collaboration has resulted in the critically acclaimed album Two. When two musical greats meet, more often than not some sort of musical competition ensues. But Corea and Fleck play a lively musical game of ping-pong, playing to their strengths whilst simultaneously supporting each other. Expect unconventional and virtuosic interplay with a bluegrass twist! Sound good to you? Share this page on social media and let your friends know about Chick Corea & Bela Fleck at Dreyfoos Concert Hall. Please note: The term Dreyfoos Concert Hall and/or Chick Corea & Bela Fleck as well as all associated graphics, logos, and/or other trademarks, tradenames or copyrights are the property of the Dreyfoos Concert Hall and/or Chick Corea & Bela Fleck and are used herein for factual descriptive purposes only. We are in no way associated with or authorized by the Dreyfoos Concert Hall and/or Chick Corea & Bela Fleck and neither that entity nor any of its affiliates have licensed or endorsed us to sell tickets, goods and or services in conjunction with their events.